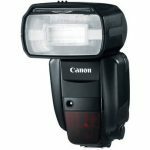 Compact, Lightweight Speedlight Unit Perfect for anyone looking for more power and coverage than a built-in flash. 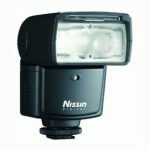 Flash Coverage As wide as 18mm on Nikon DX-format digital SLR cameras. Convenient Operation Powered with two AA-size (1.5V) batteries. Bounce Capabilities Reduces background shadows and diffuses light for more pleasing results. Simple, Intuitive Operation Put it on, turn it on and shoot! 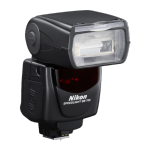 Great Flash Exposures Easily Utilizing Nikon’s i-TTL intelligent flash technology for accurate flash exposures. Fast 2.5-second Recycling Time Keeps you shooting quickly. Versatile Shooting Range From 2 ft. up to 66 ft. 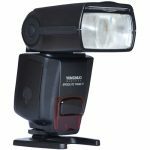 Provides flash power for distant subjects, group shots and close-up pictures. 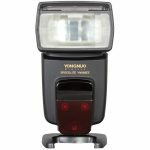 Portable, Versatile Speedlight Unit i-TTL Speedlight optimized for use with Nikon’s Creative Lighting System (CLS). 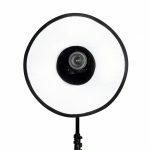 Complete Flash Head Positioning Freedom Bounce 90°up and 7°down with 360° rotation elevates creative lighting freedom. Wireless Flash Control Wireless Commander Mode controls up to 2 remote Speedlight groups and an unlimited number of compatible Speedlights. 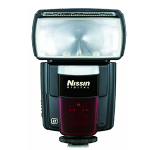 When used as a remote speedlight up to 3 Groups can be selected. Four wireless channel options help manage wireless conflicts in multi-photographer environments. 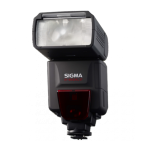 Choose From 3 Light Distribution Patterns Using the simple slider switch on the back of the SB-700, you can optimize light quality by selecting Standard for general illumination, Center-weighted for portraits or Even, for groups or interiors. Automatic Format Identification Automatically senses the FX or DX-format camera in use and optimizes light distribution. 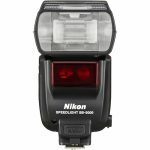 Nikon’s Precision i-TTL Flash Control Delivers precise flash exposures and seamless fill-flash performance—even in challenging lighting situations. Hot Shoe and Wireless Operation Use on-camera, as a wireless master, commander or remote light source. 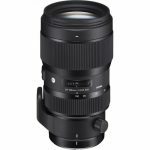 Versatile Auto Power Zoom Coverage Smoothly covers lenses as wide as 24mm and up to 120mm in FX-format. Streamlined Controls and Menus Convenient Rotary Select Dial sets key functions quickly and a prominent Master and Remote control switch simplifies wireless operation. 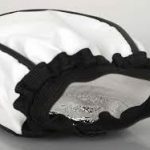 Flash Tube Overheat Protection To prevent overheating, flash recycle time increases when SB-700 detects heat build-up. 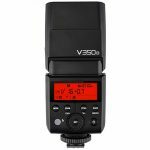 Flash Value (FV) Lock Locks in a specific flash output on the main subject, regardless of aperture, composition or the lens’ zoom position. * *With select Nikon digital SLRs. 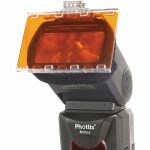 he Phottix Cloth Soft Flash Diffuser fits onto a hot shoe flash to provide softer lighting effects and reduce hot spots. 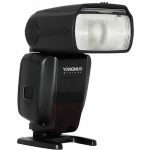 Add wireless flash and high-speed sync to your lighting arsenal with the YN-568EX Speedlite fromYongnuo. 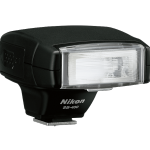 This powerful unit is compatible with Nikon cameras that have i-TTL control. 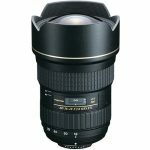 It features a guide number of 190′ at ISO 100 and 105mm for illuminating your subject along with a zoom head with coverage from 24-105mm. 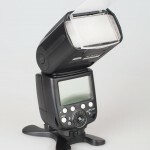 Also, the flash can tilt from -7 to 90° and rotates 270° for versatility in bouncing your light.